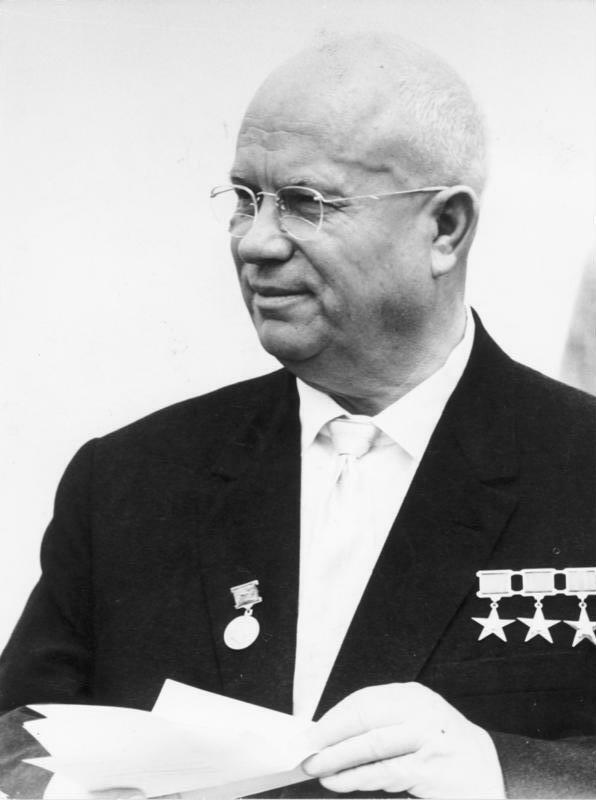 It was the height of the cold war and only months earlier Krushchev famously uttered four words that would alarm Americans “We will bury you.” To resolve or smooth over hostilities, in particular over the mounting crisis over the fate of Berlin, President Eisenhower, reluctantly invited Krushchev to a summit meeting at Camp David. Krushchev accepted this invitation and immediately added a Beatles like tour of the United States to the itinerary. As the Krushchev ‘roadshow’ moved on, the bad-tempered Premier found himself in Hollywood on Saturday 19th. Earlier, he had accepted an invitation to watch the filming of ‘Can-Can’ at the Twentieth Century Fox studios and a luncheon with the stars. Would this improve his mood? Continuing on in this vain for around three-quarters of an hour, he abruptly remembers something. “Just now, I was told that I could not go to Disneyland,” he announced. “I asked, ‘Why not? What is it? Do you have rocket-launching pads there? “ The audience laughs but he didn’t seem amused. “Just listen,” he said. “Just listen to what I was told: ‘We—which means the American authorities—cannot guarantee your security there. What is it? Is there an epidemic of cholera there ?” He punches the air and starts to look a little angry, “For me such a situation is inconceivable. I cannot find the words to explain this to my people.” At last he sits down and the 400 strong audience applauds. Are they genuinely pleased? Are they relieved and or grateful that the Soviet Premier’s red faced head didn’t explode? With the eventful luncheon over, he was escorted to the sound stage where the movie ‘Can-Can’ was being filmed. Stopping along the way he was greeted by various Hollywood stars who were eager to shake his hand. It is here too, that Marilyn had lined up awaiting to play her part in the days drama. Skouras spots Marilyn in the crowd of stars and scrambles to introduce her to Krushchev. Wide eyed and nervous, Marilyn delivers a line that was prepared for her by Natalie Wood (a fluent Russian speaker). “We the workers of Twentieth Century Fox rejoice that you have come to visit our studio and country.” Marilyn’s choice words seemed to be like something straight out of the Communist handbook of etiquette. Krushchev seemed to appreciate her stab at Russian. ”You’re a very lovely young lady,” he states, squeezing the life out of her hand. Photo Credit Every effort has been made to trace and acknowledge appropriate credit. All image appear to be in the public domain except the Nitika Krushchev image which is from the German Federal Archive and is used under the Creative Commons Attribution-ShareAlike German license.